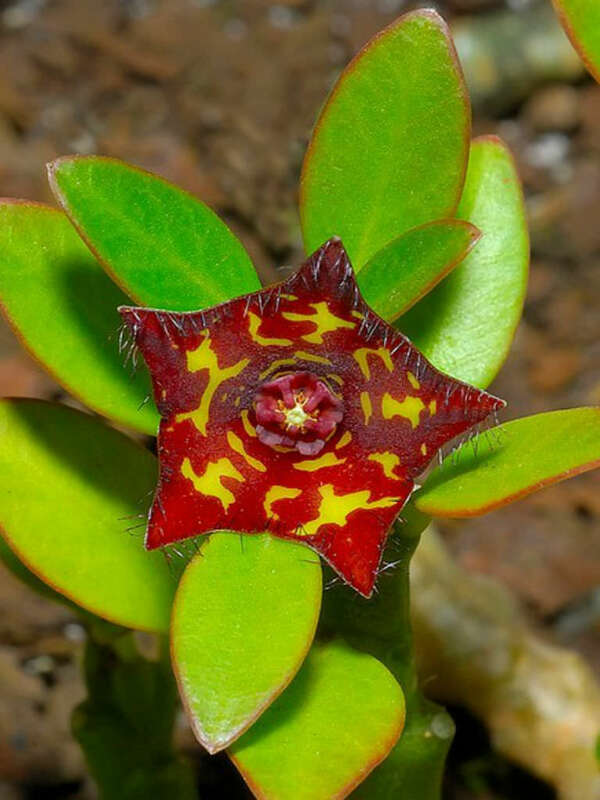 Frerea indica is a fleshy perennial succulent with up to 20 inches (50 cm) long branches that have elliptic-oblong leaves that are up to 3 inches (7.5 cm) long. The leaves grow during the monsoon season—in a habit that is unusual compared to its close relatives, it drops the leaves during dry seasons to conserve moisture. 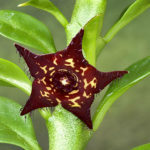 The crimson to cherry-red flowers are star shaped with yellow markings. It blooms from August to September. Stapeliads are relatively easy to grow. 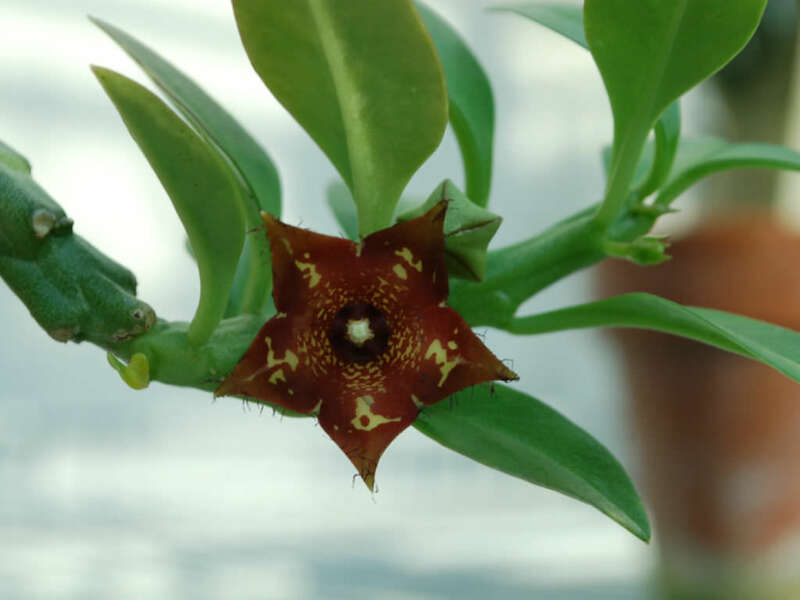 They should be treated as an outdoor plant as they will easily rot indoors and cannot flower without exposure to outdoor temperature fluctuations. They should be grown under cover so that watering can be controlled. They require a reasonable amount of sunlight to promote flowering and maintain a well shaped plant. Very shady positions will produce very poor flowering. Stapeliads come from climates where they survive extremely high temperatures in the summer months so most growth is in spring and autumn, with flowering in autumn when the weather starts to cool down. In growing season, water in moderation when needed, making sure soil is fairly dried out between waterings. Do not water between November 1 and March 1. 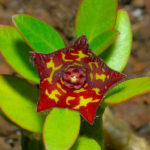 The easiest and best way to propagate Stapeliads is from stem cuttings which can be taken virtually throughout the year. 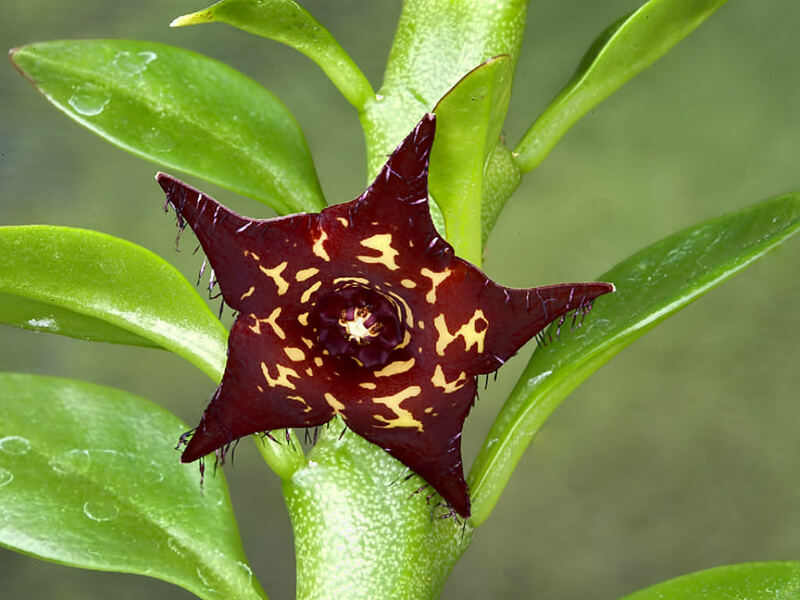 Seed is also a method of propagation… – See more at: How to Grow and Care for Stapeliads. Native to the Junnar hill forest in the Western Ghats in Maharashtra state in India.